The Colony is a 1,500-home active adult golf course community in Murrieta, CA. It is revered for its prime location in the heart of Southern California, set within an hour from the ocean, towering mountains, scenic lakes and the desert. This well-established community is surrounded by great shopping, dining and entertainment attractions.Ryland Homes, Mastercraft and Crowell & David constructed The Colony between 1989 and 2005. The three builders joined forces to create one of the most admired active adult communities in California's Inland Empire. The Colony includes a delightful mix of housing options, world-class amenities and an active social calendar. 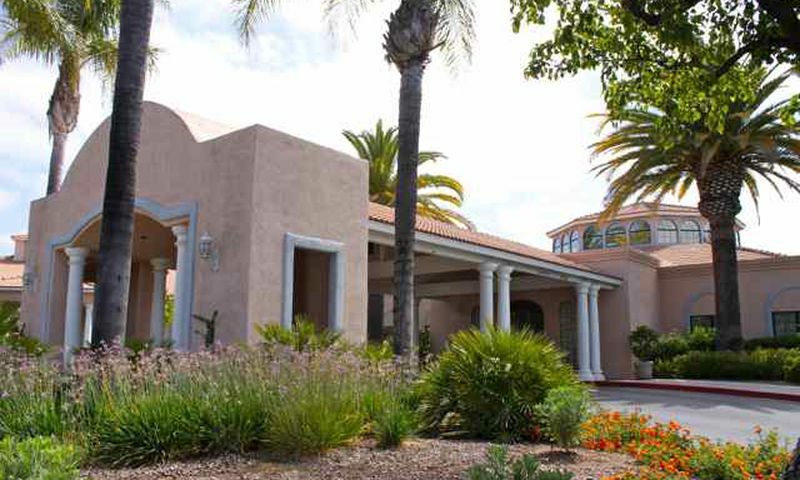 The Colony's clubhouse is the central hub for all community social and fitness activities. It boasts a fitness center, hobby and craft studios, a grand ballroom, theater, library, beauty salon and billiards. Plus, an outdoor pool and tennis, bocce ball and shuffleboard courts surround the clubhouse. There are also several miles of walking and biking trails that meander through the community. The Colony Country Club, also known as California Oaks Golf Course, is a 5,218-yard par-70 course. It was designed by David A. Rainville and boasts Bermuda grass fairways, sharp doglegs and challenging greens. The course is open to the public but residents of The Colony enjoy discounted green fees. The Colony Grill offers a great place to gather with friends after a round of golf or the ideal setting for a quiet dinner with your significant other. The Colony's location is one of its most admirable qualities for active adult home buyers. The community is surrounded by some of southern California's greatest attractions. I-15 and I-215 freeways are adjacent to the community and places like Palm Springs, San Diego and the beaches of Orange County are within 70 miles from The Colony. The Colony features a large clubhouse, acting as the social and activity hub of the community. Adjacent to the community is the California Oaks Golf Course, a par-70 5,218-yard course. Although open to the public, residents of The Colony enjoy a discounted rate. There are plenty of activities available in The Colony. Here is a sample of some of the clubs, activities and classes offered here. There are over 60 single-family home floor plans offered at The Colony. The community was constructed by three different builders: Ryland Homes, Mastercraft and Crowell & David. Homebuyers can expect to find a wide assortment of home styles and layouts. Please Note: Because of the age of this community, not all floor plans are available at this time. Betty and I have been in The Colony for just over 7 months. We love it. We have met many people through golf, paddle tennis, ping pong, and in our neighborhood, and all enjoy The Colony very much. I have not heard one negative. There are many activities, that we haven't as yet been able to join. We enjoy our home, and look forward to many years to come. 55places.com is not affiliated with the developer(s) or homeowners association of The Colony. The information you submit is distributed to a 55places.com Partner Agent, who is a licensed real estate agent. The information regarding The Colony has not been verified or approved by the developer or homeowners association. Please verify all information prior to purchasing. 55places.com is not responsible for any errors regarding the information displayed on this website.